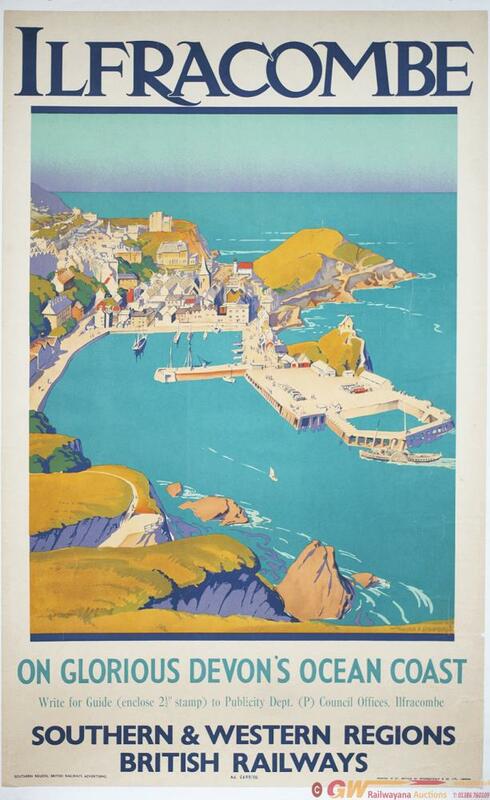 Poster BR ILFRACOMBE ON GLORIOUS DEVONS COAST by WALTER SPRADBURY circa 1948. Double Royal 25in x 40in. Mounted on linen with a small repaired tear bottom right.